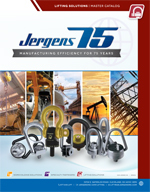 Our parent company Jergensinc was founded in 1942, Jack Schron, Sr. founded Glenn Tool and Manufacturing, with his father Christy. In response to the needs of wartime production, they began to manufacture standard components in the building next door, with the goal of helping American Manufacturers operate quickly and more efficiently. 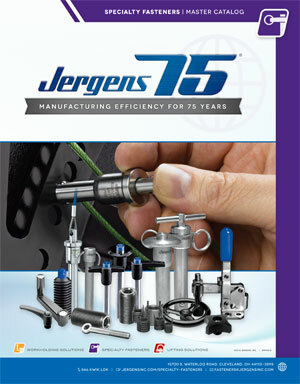 “The Standard Components with the Highest Standards” became this new company’s founding philosophy, and it put Jergens, Inc. on the forefront of the “lean manufacturing” movement before anyone even thought to put those two words together. Jergens India Pvt. Ltd., a wholly owned subsidiary of Jergens, INC, USA, was incorporated in India in August, 2009 and is located at B-607, Mahaavir Icon, Plot No. 89, Sector 15, CBD Belapur, Navi Mumbai, Maharashtra. We market, distribute & provide technical support for products sourced from our principals and the group companies. The product list include Ball lock system for quick change of fixtures on CNC Machines, Quick Change Production Vises, Vise Columns, Unique Mechanical Clamps, Stay Lock Clamps, Threaded Inserts, Hoist Rings and many more. 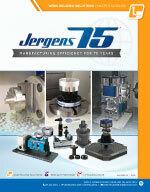 Thank you for the Ball Lock System and Vises produced by Jergens; they really are excellent! Ball Lock System and Vises produced by an independent third party, such as your company provide a professional standard. In addition, the Ball Lock system is easy to use and is Precise too. Thank you once again for your contribution to the industry. We have checked the quality and started using your KLP Pins. It is intimated with pleasure that we are satisfied with the product, also will inform you about future requirements. We greatly acknowledge and thank you for your partnership with IMTMA. We extend our sincere thanks to JERGENS team for their support as faculty in many of our training programmes..
By - M. Krishnamoorthy, Director-Training, IMTMA Technology Centre, Bangalore International Exhibition.